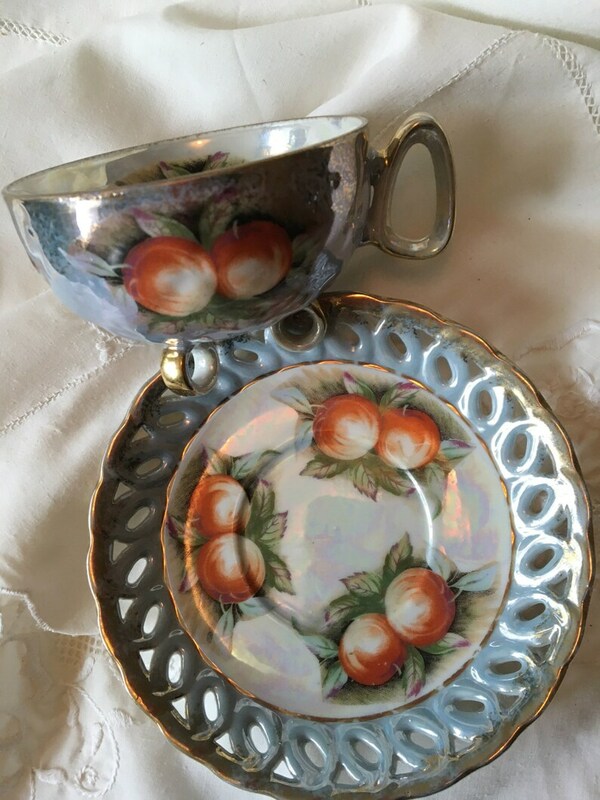 This is a perfectly lovely teacup and saucer set with no markings at all as to the maker. The saucer has the delicate cut outs along it's rim along with gold overlay. The predominant color is a beautiful bluish/gray. The teacup has wonderful fancy feet that are circles.....really pretty and different. This has no chips to be found and is ready for your next tea party! The cup measures 4" around and stands 2.5" high. The saucer measures 6" around.